James O. “Jim” Thompson, 67, of Grafton, died Monday August 6, 2018 at University Hospital Elyria Medical Center after a long illness. He was born August 27, 1950 in Elyria and had resided in Grafton for the last 15 years moving from Elyria. Jim graduated from Elyria High School in 1969 and then served with the US Army from 1969-1976 having been stationed in Panama. Jim worked at the Oberlin Golf Club for 32 years retiring in 2005 as Greens Superintendent. Afterward, he co-owned the former Bait Shop in Vermilion with his brother David. Jim was well known at the Carlisle Flea Market where he sold handmade fishing lures and fishing equipment. For many years, Jim served as secretary of the Elyria Bowling Association and was also secretary for many bowling leagues at Stoney’s in Elyria. 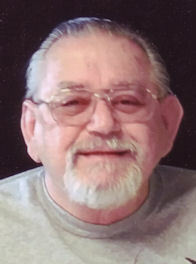 He was a life member of AMVETS Post #32 in Elyria and enjoyed bowling, hunting and fishing. He loved his grandchildren dearly. In 2006, Jim underwent kidney transplant surgery having received a donated kidney from his sister Sheryl. He is survived by his wife of 48 years Deborah Thompson (nee Ledyard); daughters Jan Thompson (Chris Carter) of Elyria and Shelly (Rick) Zakrajsek of Lorain; grandchildren: Leah Jackson and Jordan and Justin Zakrajsek; mother Dorothy Thompson (nee Plato) of Elyria; siblings: Sandy (Al) Peters, Patricia (Mike) Ross and David (Sue) Thompson, all of Elyria; Jack (Diane) Thompson of Tucson, Arizona, Brenda (Rocky) Edmonds of Lorain and Sheryl (Gary) Jones of Elyria and many nieces and nephews. He was preceded in death by his father Leslie O. Thompson and sister Deborah Gladish. The family will receive friends Thursday August 9th from 3:00 pm until the time of funeral services at 7:00 pm at the Gluvna-Shimo-Hromada Funeral Chapel, 3224 Broadway Ave, Lorain. The Rev. Jay Ogan, deacon of St. Peter Parish in Lorain, will preside. Military honors will follow and be conducted by AMVETS Post #32 of Elyria.